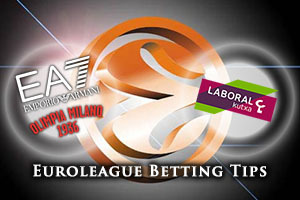 These are two teams with plenty of experience in the Euroleague and there are plenty of recent games to look back on. In fact, there have been six games in total over the last three seasons. There is an even split of three wins each so this game could well be a close call. One thing to look out for is what sort of shape Milan are in after playing in America this summer as part of the Euroleague Basketball World Tour. 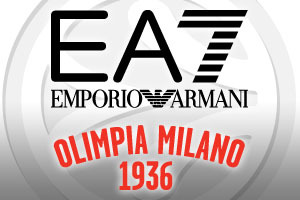 Daniele Magro, Robbie Hummell and Andrea Amato look likely to make their Euroleague debut for the Milan side in this game but it is likely that the hopes of the home team fall on Alessandro Gentile. He has grabbed a minimum of 10 points in his last 10 outings in the Euroleague. The player had his best performance of last season against Laboral Kutxa when he helped himself to 29 points, 7 rebounds and 4 assists in a Top 16 game that the Italian side won 99-85. Players expected to make their Euroleague debut for the Spanish side on Friday night are Mamdou Diop and Alberto Corbacho. One player who will be keen to do well in this game will be Ioannis Bourousis, who played for Milan for two seasons between 2011 and 2013. Bourousis is aiming to grab 8 more blocked shots and become the fourth ranked player for blocked shots. Fabiean Causeur is a player who will be important to the Spanish side’s hopes and he has grabbed at least one three pointers in his last six Euroleague outings. The fact that the recent record between the two teams is split is replicated in the closeness of odds for this game. You can find Milan at -2.5, at odds of 1.90, for this game and the home side should have enough about them to make those odds worthwhile. When it comes to finding further value from this game, look for the Over/Under market, which provides an OVER 156.5 opportunity at odds of 1.90. Bet Now!